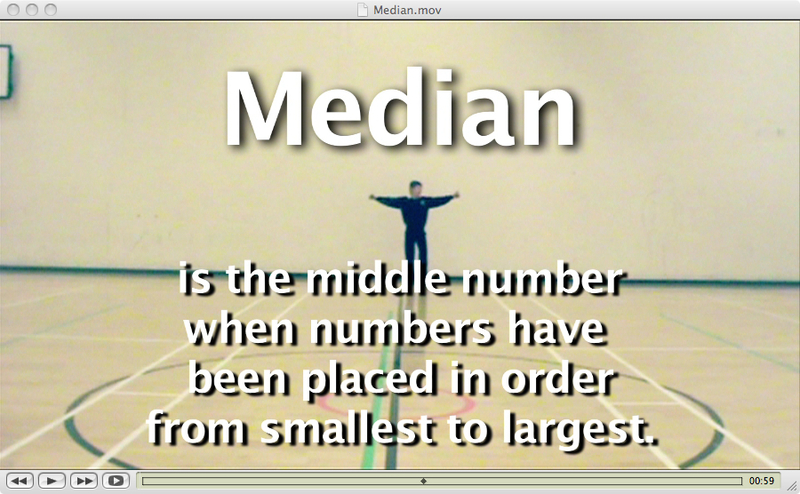 Median average worked out with the whole class. Here is lessons learned from my work with KS3 Maths students. 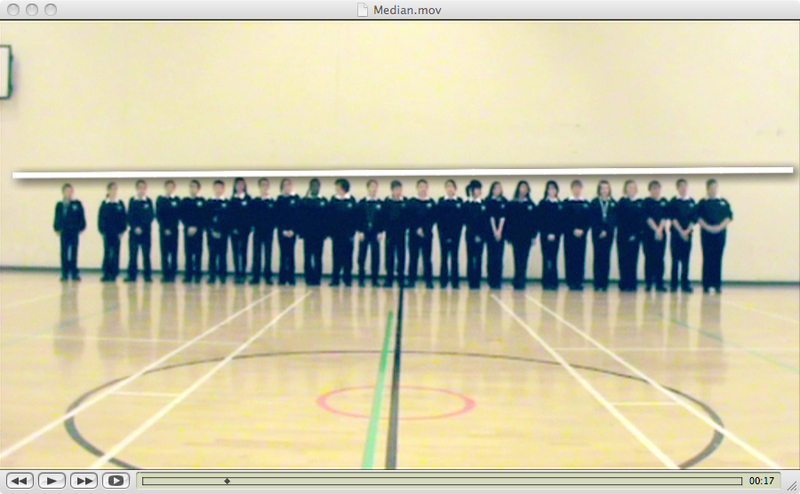 Along with the Maths teacher, I worked with Y7 students to create a series of short films that explored 'Averages'. 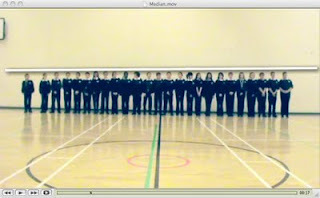 Every pupil got involved in presenting a highly visual demonstration of averages! 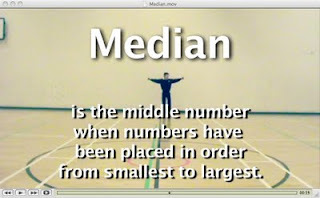 The Median, Range, Mode and Mean were all demonstrated by the students. Students understanding of Averages had increased. Text and graphics added to clarify the results. The films created were shown to the rest of the school.